Having some issues with proportions. Above is a snapshot of about a full day of work. So far I have good feel for how the main guns will look – the only issue I may have is with the length (not sure if it is long enough). 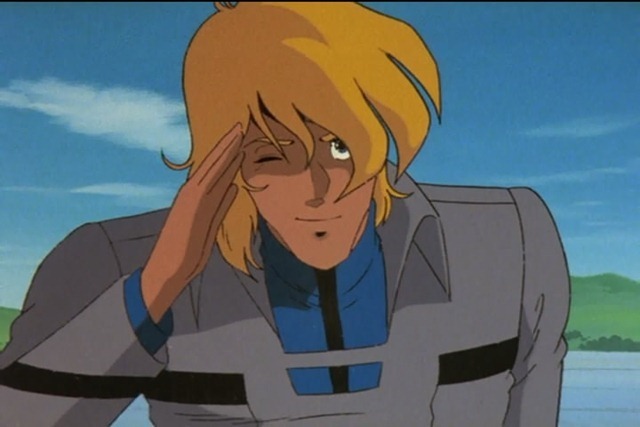 I have already discovered that even though I have purchased thousands of pieces, I am short of some critical pieces just for this first part of the build. 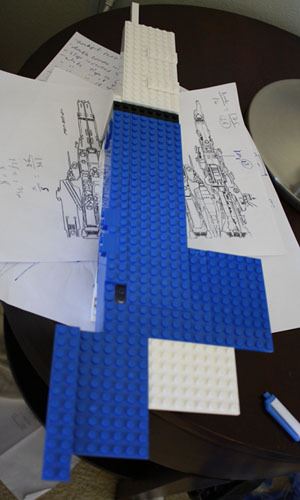 I have begun to keep a list of needed parts; I’m planning on at least one or two Bricklink orders over the weekend. Because of my part shortage I can only do one Main Gun at a time, which I probably should do anyway to work out the kinks. 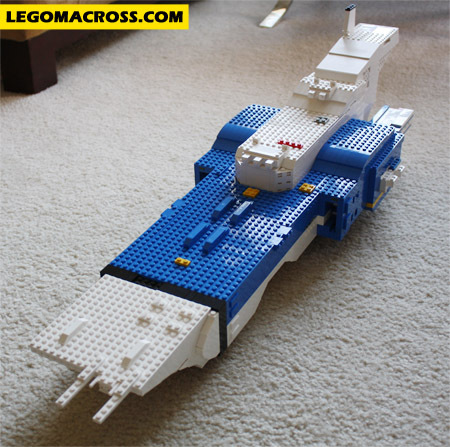 The center section of the Battlecruiser is not a box. 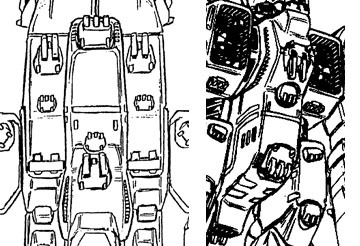 The main center section of the SDF-1 actually has lots of curves, on both the X-axis and Y-axis. The section is not a tube, but it definitely not a box. 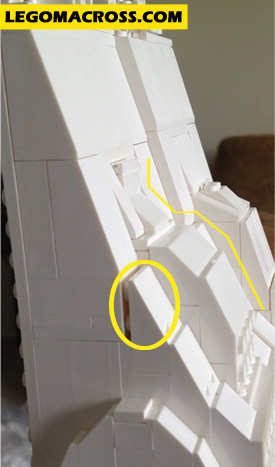 That said, LEGO is better used to build boxes than structures with curves. So back to my dilemma: should I build the center section as a box? Should that box be 8x or 10x? Or should I attempt some form of curve effect…and how would I do that? And if so, still, how wide should it be and thus how wide should I make the Main Gun indent? 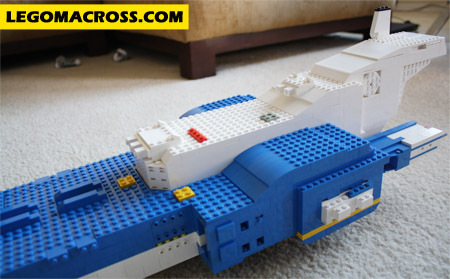 I’m at crossroads and it is only Day 2….it is probably best at this point to spend some more time on Bricklink….